Last Friday, we already talked about upcoming 'Quality of Life' features in Update 77 such as deck naming & more deck slots. 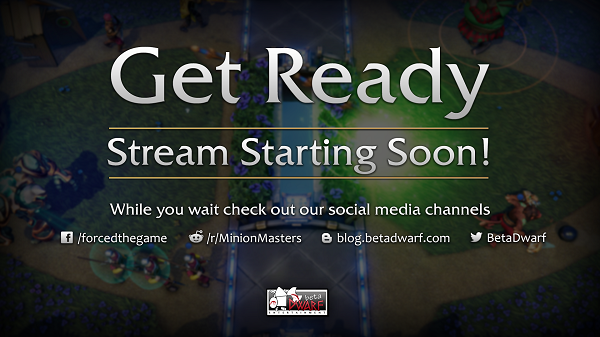 Today, we want to take a closer look at the features coming to Minion Masters on Wednesday, September 26th! 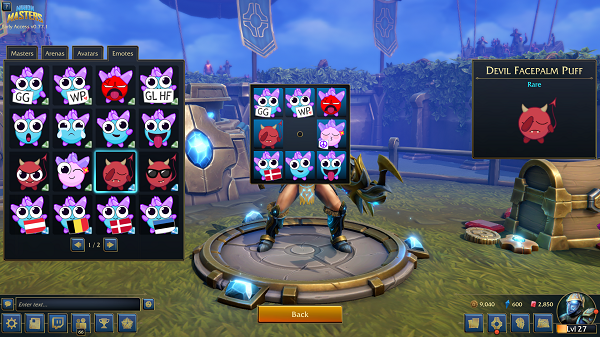 With more and emotes coming into the game, the emote box takes more and more space. 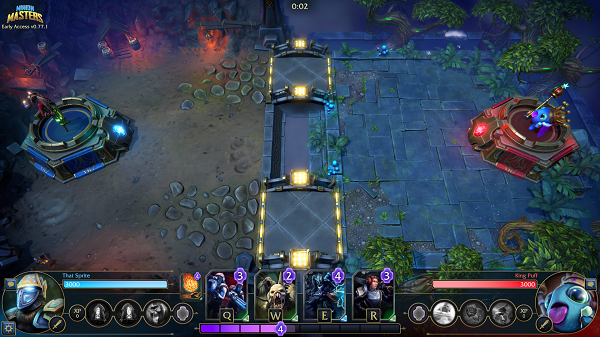 To prevent the box from covering essential parts of the screen at some point, we think it is time to implement a system that lets you choose the emotes you really want to use in matches. We call it the "Emote Selector" internally. This Wednesday, we will implement this selector. The functionality is quite simple: you click on your Master on the main screen, select the tab "Emotes" via the user interface and start selecting your emotes. A simple click on the emote you want, followed by a click on a slot in the selector is all it takes. For now, we limit the number of possible emotes in a match to 8, but you can change the selected emotes anytime you want! Yes, that's all there is to it! Now, the way is clear for tons of new emotes, right? We already mentioned this a week ago: we're working on new skyboxes! Today's update on that subject is that said skyboxes will get implemented with Update 77! While this might not be a potential hype message, it'll make the game even more beautiful. What's a skybox anyway? Well, a skybox is a panoramic texture shown behind all other objects, often used to represent the sky. Anyway, you know it's coming and as you can see on the screenshot above, That Sprite is already collecting screenshots, possibly for the patch breakdown video and/or before/after comparisons. Deck naming & more deck slots! Now, deck naming was already our topic last Friday. 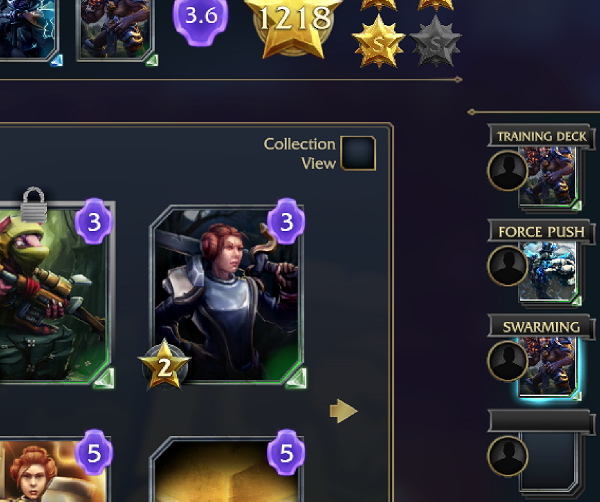 To make it short, you'll be able to name your decks after Update 77, as you can see in the screenshot above. There will be a character limit of 16 including spaces! This will make organizing your various decks easier and also adds to the level of QoL, overall. Don't miss out on the Dwarves! Finally, two weeks passed by and we can start our next Dwarf stream on Tuesday, September 25th at 18:00 UTC on our official Twitch channel! Of course, you do follow the channel already, don't you? That's all for today, Masters! We're looking forward to seeing you tomorrow live on stream and wish every single one of you a great start to the week.